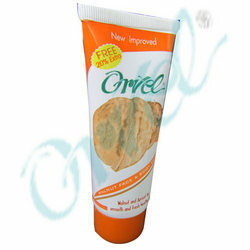 We come up with diverse collection of Body Care Products that are processed under the utmost care of professionals. Formulated using quality approved ingredients; our collection is in line with numerous quality norms. Our collection has capacity to enhance the softness and suppleness of your skin and also keep your skin healthy. These are available in the markets at the industry leading prices without compromising on quality. A wonderful blend of natural Walnut Face and Body Scrub particles consisting an exfoliating scrub with finally milled walnuts in a pure aloevera and vit A & E packed in a scrub base. While the aloevera & vitamins stimulate cell regeneration, the oil rich walnut has a deep cleansing action, helps tighten the skin and nourish it & making it clean, smooth & silky. Formulated using extracts of rose petal, aloe vera and enriched with vitamin E, our Herbal Moisturizer deeply nourish the skin and keep it hydrated all day. Our moisturizers build a protective covering over the skin to protect it from the damages caused by wind dirt, dust, pollution, cold, exposure to sun and ultra-violet rays. 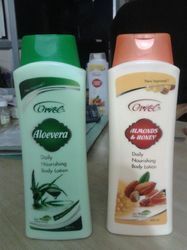 Non-oily and non greasy, these aromatic moisturizers leave the skin with feather soft touch and feel. 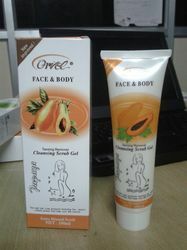 Looking for Body Care Products ?